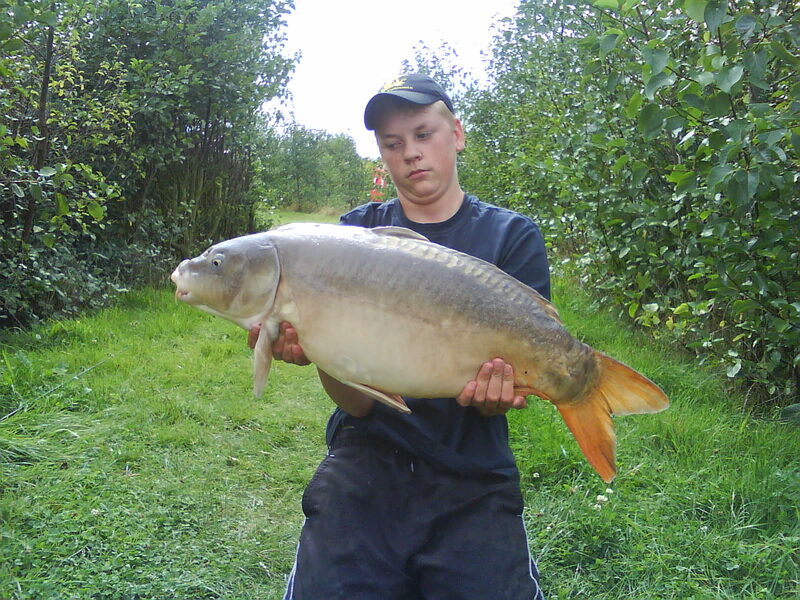 Ashley Pett's choice of venue was Orchard Place Farm Lake, which is stocked with Carp up to 50lb. When he first got to water he saw a few fish moving on the corner of one of the islands so the tactic he chose was just a simple bottom blow back rig with a boilie and after about an hour the left hand rod roared off and he was into a hard fighting Carp which turned out to be a 21.7lb Mirror! He was very happy because it was the first time he had fished this lake!